I honestly didn’t know what to expect, going into this book. 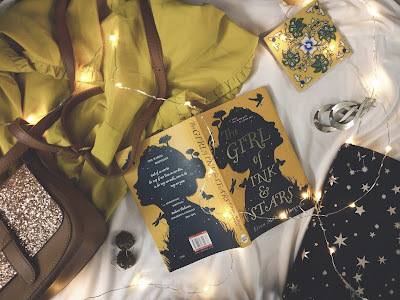 I’d seen it in bookstores, online and all over the internet and the cover and title intrigued me so much that I simply had to request the book when the opportunity came my way. It was only when I actually opened and started reading it that I realised that this was a… middle grade book? It honestly threw me, because I don’t read much MG and when I do, I’m usually prepared for it. So, in all honestly, it took me a while to get over it all, but I did enjoy the read overall. 1. This was a beautiful book to read, visually. Each page had illustrations, there were maps on the inside and outside and each page was such a treat to look at. 2. Isabella was a great character to get to know. I loved hearing the stories she’d learnt, and how much she loved being a cartographer. She was a fierce character and it was quite fun to read through her point of view. 3. Unfortunately, that was about all I liked about the book. I thought that the conflict was kind of… uninspired. The characters were not well-rounded, except for Isabella and, honestly, nothing about the preamble or the action made me CARE for the story or the island. 4. I was never at the edge of my seat, never really scared for the characters and not invested at all in Girl of Ink and Stars. Would I recommend this book? Probably not. 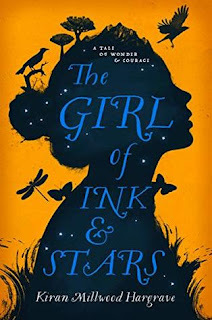 I’ve read a few MG novels recently and they were all engaging and interesting to read, but I simply didn’t feel that way with Girl of Ink and Stars. Kiran Millwood Hargrave is an award winning poet, playwright, and author. Her books include the bestselling winner of the British Book Awards Children's Book of the Year and the Waterstones Children's Book Prize 2017 The Girl of Ink & Stars, and Costa Book Awards- and Blue Peter Awards-shortlisted The Island at the End of Everything, andThe Way Past Winter is forthcoming in October 2018. Her debut book for adults, The Mercies , based on the Vardø witch trials, will be published by Picador in early 2020. She is represented by Hellie Ogden (UK) and Kirby Kim (US) at Janklow & Nesbit. Kiran lives in Oxford with her husband, artist Tom de Freston, and their cat, Luna. Do you read Middle-Grade or Children's books? What do you think of them? Do you have any stunning books you think I should read in these categories?